This great new IP camera features the very latest EXIR illuminator, giving an incredible 80 metres night vision, more than just about any other fixed IP camera in this price range. The latest EXIR hides the IR arrays behind the Infra-red glass making them even more discreet and physically pleasing. 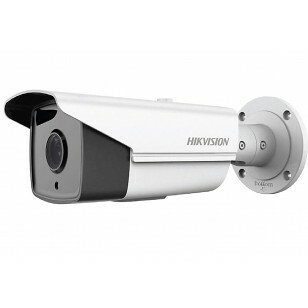 HIKVision are the World's No. 1 Provider of CCTV Equipment and are used extensively by professionals in the most demanding environments. All our HIKVision products come with a reassuring two year warranty.